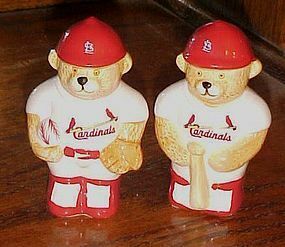 Adorable and very collectible anthropomorphic baseball catchers mitts salt and pepper shakers. Measures just over 3" tall and 4" wide. Made of hand painted glazed ceramic.Decoration is under the glaze. No marks, but probably Japan. 1 cork is up inside the shaker, the other is in place. Perfect with no chips or damages. 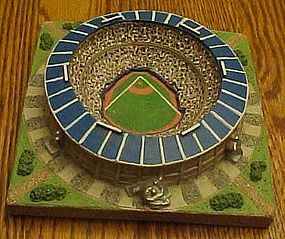 Collectible miniature baseball stadium by Sport Collectors Guild Inc 1998. Gold series. It has the little gold plaqard and all original seals and labels on the bottom. Atlanta Braves Fulton Stadium in Atlanta Georgia. A limited numbered edition 1619 / 4750 made. Excellent condition with no chips or damages. 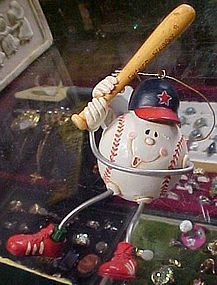 Anthropomorphic future slugger baseball ornament. 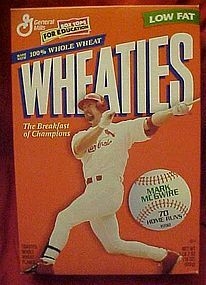 1998 Wheaties Cereal Box. Mark McGwire 70 Home Runs. New Single Season Record. Box is unopened, but Contents are not fit to be consumed. 18 oz. Box is in Mint Condition. Nice Lefton H233 planter. 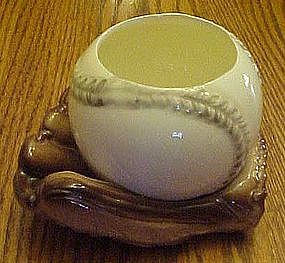 Baseball mitt holds a baseball, and top of the ball is open to be used as a planter. Would also be nice for a desk accessory for pens & pencils. 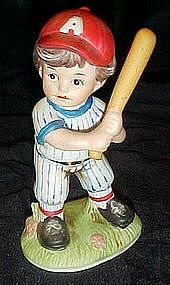 Measures 4" tall and is in wonderful condition with no chips or cracks. Original foil Lefton sticker intact. 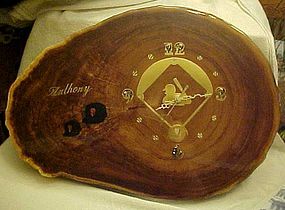 Great gift for the coach, or boys desk. Limited edition collectors baseball made by Unforgetaball. This one is Tiger Stadium in Detroit, and shows the stadium in full color. 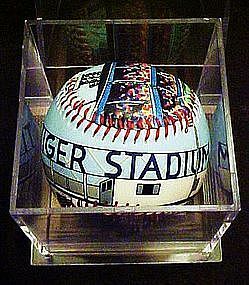 Includes a certificate of authenticity and a plexiglass case to view the ball and keep it pristine. Case does have a chip on a lower corner but when turned around it cannot be seen.